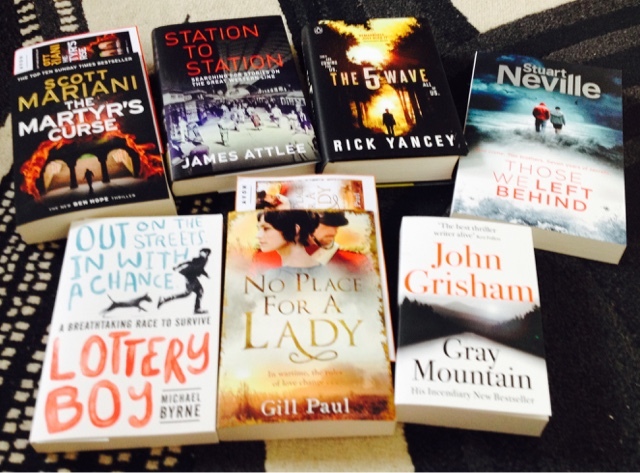 Last year I won some great books through Twitter and Goodreads and here are some of them. They will keep me busy for a while!. I have so many books on my To-Read list that I think I am going to have to up my Goodreads book challenge. It’s currently set at 30 books which I thought was about right for me considering I have a new baby on the way, but I have currently read 4 Books this year so far! After a lot of thinking I have decided to up my reading to challenge to 50 books for 2016. This gives me about week to read one book. I think that’s about fair. I love the Goodreads website as it gives me encouragement to look back over what books I have read so far and also inspiration for trying new authors and books I might not have considered. I would love to hear about your Goodreads challenges. How many books would you like to read in 2016? How do you discover new books to put on your To-Read list?